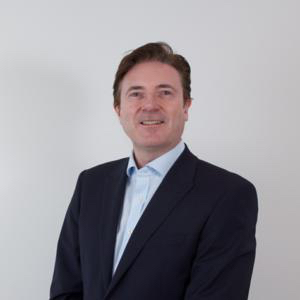 Barry Downes is the Managing Partner of the Suir Valley Ventures, which is a venture capital firm based in Waterford, Ireland and London, UK. Suir Valley Ventures invests in early-stage start-ups powered by deep technology in the Augmented Reality (AR) and Virtual Reality (VR) sector, in Financial Technologies (FinTech) and also in the Internet of Things (IoT) sector. Barry is also the Chief Investment Officer (CIO) of Sure Ventures PLC, a London Stock Exchange listed Investment Trust (LSE:SURE). Barry is also Partner with London based Shard Capital AIFM and chairs its investment Committee for venture capital and digital asset investments. 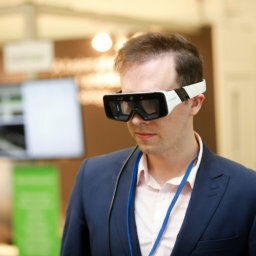 Barry is also the Chair of the Telecommunications Software and Systems Group (TSSG) a leading international software Research Institute that specialises in AR/VR, AI and communications technologies research and development (R&D). Previously Barry founded FeedHenry Ltd. a leading cloud-based mobile applications platform based in Waterford, Ireland and Boston, Massachusetts. Red Hat Inc (NYSE: RHT) acquired FeedHenry for $82 million in October 2014. Barry was also previously the CEO of TSSG and the Centre Director of the Mobile Services Technology Gateway (MSTG), a close to market R&D Centre that delivered advanced mobile and AR/VR technologies and solutions to leading international technology companies. More recently, Barry was a board member of ImmersiveVREducation Ltd. and helped guide the company to its IPO on the London Stock Exchange (AIM:VRE) and the Dublin Stock Exchange (ESM:VRE) in 2018. Now called VR Education Holdings PLC the company has developed the award-winning Apollo 11 VR and Titanic VR virtual reality experiences and also the Engage virtual reality education platform. Barry has worked extensively in Silicon Valley as a Partner of SVG Partners, a San Francisco based investment and advisory firm that helps its clients with innovation, strategy and technology consulting. Prior to joining TSSG Barry was the Vice President of Software Services for Waterford Technologies a leading provider of cloud archiving tools, headquartered Waterford, Ireland and in Orange County, California. Barry holds a BSc. in Applied Computing from the Waterford Institute of Technology (WIT) and a 1.1 M.B.A. from the Michael Smurfit Graduate School of Business at University College Dublin (UCD). Barry also holds executive qualifications fromHarvard Law School in Cambridge, Massachusetts, Henley Business School in the UK and Haas Business School at the University of California Berkeley in Venture Capital. Barry is also a Certified Investment Fund Director (CIFD) from the Institute of Banking. Barry’s current research interests include augmented reality and virtual reality (AR/VR) technologies and also new types of FinTech technologies in the areas of credit and lending, digital currencies and blockchain, mobile and digital banking and new models for Foreign Exchange.